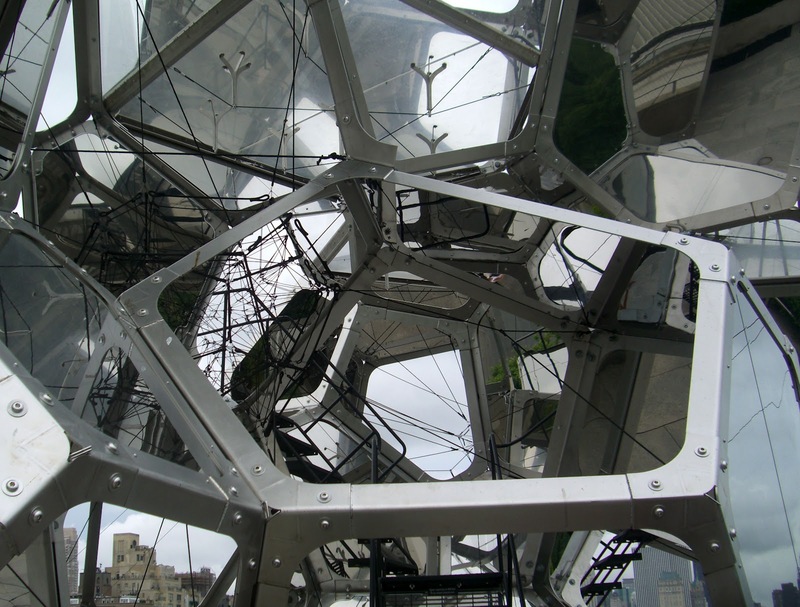 Tomas Saraceno's "Cloud City" currently sits on the roof of the Metropolitan Museum of Art. 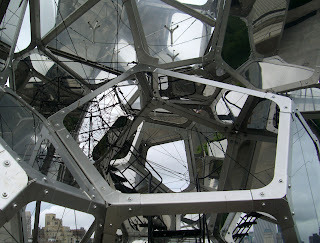 Constructed from metal, plexiglas, mirrors and cables, it looks not so much like a geodesic dome as something dreamed up in the fevered brain of a rebellious honey bee. There is a carnival funhouse quality to the way the panels reflect people, sky and buildings. Is that really part of the Manhattan skyline or not? If you weigh less than 400 pounds, you can climb up into "Cloud City" and become even more confused by the multiplying reflections. It's geometry in the service of art.